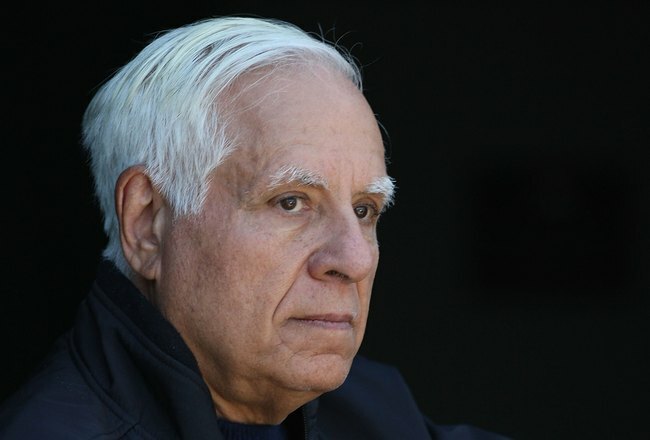 How much of a mess has Lew Wolff’s 15-year-obsession with moving the A’s become? Answer: There are not one, not two, but THREE lawsuits involving the city of San Jose over Wolff’s attempts to move the A’s. And, like all messes, we’re left not with answers resolving the situation, rather only with more questions. Here’s a lingering question: How much are San Jose taxpayers paying to foot the legal bills for all of these lawsuits? Hopefully, one day we get an answer to that. 2) That case was meandering through the court system when, about two weeks ago, the Mercury News reported that Stand for San Jose filed a second complaint in Santa Clara County. The second complaint seeks to challenge San Jose’s transfer of ballpark land back to San Jose’s redevelopment “successor agency,” which they did in June. This suit, like the 2011 one, is tied to the downtown San Jose land that Wolff and the A’s have an option to buy at the price of $6.9 million. But the lawsuit notes that the state controller says that that land now is actually worth $29 million. Thus, the Mercury News reports, the lawsuit argues that by encumbering the land with the option agreement between Wolff’s A’s and San Jose, the city is devaluing the property by $22 million — or, $29 million minus $6.9 million. It’s possible that both lawsuits will be combined into one, but there will be no progress until November, when the first lawsuit is scheduled for a hearing. 3) The biggest legal move, of course, came in June, when San Jose filed an antitrust lawsuit vs. MLB. San Jose’s lawsuit is being led by Joe Cotchett, a well-known Bay Area trial attorney. The lawsuit’s main argument is that MLB is an unlawful monopoly that’s preventing the A’s from moving to San Jose and — so the argument goes — that has caused San Jose financial harm. Even San Jose boosters agree that Cotchett’s lawsuit against MLB is something of a Hail Mary. The good news for Wolff and his cronies is that, every once in a great while Hail Mary plays pay off. Of course, most of the time, they’re born of desperation and don’t pay off. That’s why they’re called Hail Mary plays. The sad thing is, here we are in the middle of a great pennant race between our A’s and the Rangers for the second year in a row. And instead of talking about that, we’re talking about attorneys and lawsuits. Is that any way to sell tickets? Judge Whyte might make his ruling about the antitrust lawsuit on Oct. 4, which would be the first Friday of MLB’s postseason. When it comes to October baseball, all we want to focus on is A’s baseball and its rich postseason legacy. It’s just too bad we don’t have an A’s owner who feels the same way. Site control. Oakland has it and San Jose does not. It’s that simple. Oakland has site control along the waterfront at Howard Terminal because, last month, the Port of Oakland and a major shipping company called SSA settled a lawsuit, which moved SSA to a different port location until the year 2022. In exchange, SSA left Howard Terminal for good, giving the Port and the city of Oakland 50 acres of waterfront property to use for building a new A’s ballpark AND other development, including condos, shops, and maybe even a hotel — all next to Jack London Square. Do Bud Selig and other MLB officials know this? You bet they do. So, ‘site control’ means exactly how it sounds. It means that Oakland officials control ALL parts of the ballpark site they are proposing to build on. All they need is a partner — such as, A’s owners Lew Wolff and GAP heir John Fisher — to work with them on it. Unfortunately, A’s owners have been stiff-arming Oakland since 1995, which is the biggest reason why there’s been so little A’s ballpark progress over the years. So, Oakland has all the land needed to make Howard Terminal the next A’s ballpark site. Yes, it’s true. San Jose still does NOT have site control of the Diridon site. And unless Wolff and/or San Jose buy that land, they’ll never control the land necessary to build a stadium there. In fact, crucial land parcels at Diridon are owned by AT&T. Yes, that AT&T — the company that owns the ballpark naming rights for the San Francisco Giants, the franchise that owns the territorial rights to San Jose and Santa Clara County. Just trying to get AT&T and the Giants to play ball on the Diridon land parcels will take years and probably yet another lawsuit, and there are already three ongoing lawsuits involving San Jose’s plans for a baseball stadium. Good luck with that. But, wait — you might be asking again — if there are all these complications and uncertainty around San Jose’s ballpark plans, why in the world would Wolff and San Jose Mayor Chuck Reed repeatedly say the Diridon site is “shovel ready,” when, in fact, it’s very far from actually being shovel ready? That’s a great question and one that only Wolff and Reed can answer. It really begs another question: If Wolff and Reed are so inaccurate about such an important part of the ballpark process, what else aren’t they telling us? In short, Wolff and San Jose aren’t close to having site control for a new ballpark. The issue is years away from being resolved and, in fact, it’s a big ‘IF’ that it ever will be. In Oakland, meanwhile, there are no ballpark lawsuits and the city has total site control at Howard Terminal. The only thing missing in Oakland is an A’s owner to play ball. Downtown Oakland keeps growing and thriving, and the tech industry is starting to take notice, adding hundreds of jobs soon to The Town. 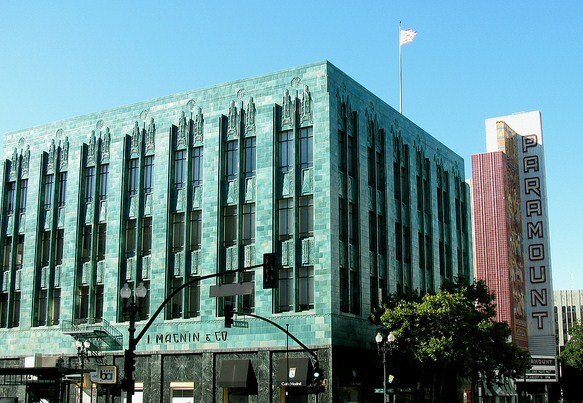 The Oakland Tribune’s George Avalos reports that two small tech companies, Minted.com and Vigilent, are moving into one of Oakland’s most beautiful buildings, the iconic I. Magnin building next to the Paramount Theater. The companies are bringing a combined 100 jobs with them to the building, which is an Art Deco gem. That’s the thing about Oakland. A decade ago, its economy was stronger than people gave it credit for. Now, after Jerry Brown’s 10K program and the Fox Theater renovation helped spur the city’s restaurant and entertainment renaissance, downtown Oakland has gotten even financially stronger. There are big tech companies such as Pandora (not to mention Pixar just down the road in Emeryville). There also are solar giants such as Sungevity. Lastly, there are more people living and working in downtown Oakland and more companies and businesses there now than at any time in Oakland A’s history. In short, all the elements are here to support a new A’s ballpark along the Jack London Square waterfront, which is just a short walk from downtown Oakland.